Frolkova, M, Reed, J, & Zwart, A.P. (2014). 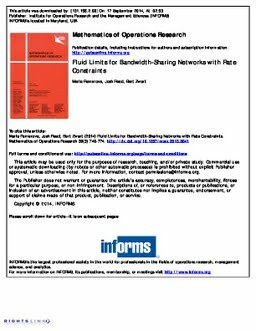 Fluid Limits for Bandwidth-Sharing Networks with Rate Constraints. Mathematics of Operations Research, 39, 746–774.